Recently I have been hired by a multinational corporation for a very interesting project. It is to conduct a research about parenting in China and organize a culture immersion to help western people understand the Chinese parenting style. When I was a child, I have been taken care by both my grandparents and my own parents. After 30 years, the Chinese parenting style still remains the same. In contemporary rural and urban China, it is now increasingly common for grandparents to play a major caregiving role. It not only reflects the strong tie between parents and adult children historically, but also indicates a significant cultural emphasis on collective family interests over individual interests. In traditional Chinese society, intergenerational exchange is guided by the Confucian norm of filial piety, one of the central pillars of cultural and moral ideals. Children are expected to obey their parents and grandparents in China. Most families in Chinese urban areas only have one child due to the ‘‘family planning policy’’ implemented in the 1980s. In the city, although the demand for center-based childcare has increased, parents and grandparents continue to be the most popular source of care. In the countryside, young rural parents are forced to look for employment in cities. During the past 3 decades, an estimated 220 million laborers migrated from rural to urban areas, leaving approximately 58 million children behind—among them, nearly one third separated from both parents. This development has created an enormous demand for extensive childcare by grandparents. “RMB 1,000 for the nursery and RMB 5,000 for the kindergarten,” a post on a popular Internet site says. The author explains that it costs RMB 450,000 to raise a child through to sixth grade. “A whole family’s monthly income is spent on the child; every minute you have is used earning money for your child; your moods are hugely affected by your child’s; friends, career and fun all belong to your ‘pre-child’ life; you’d sell your house to get your child into a better school.” And this, according to Sina.com, means a generation of “child slaves” has been created. Grandparents used food as an educational and emotional tool. They shaped the behavior of their grandchildren and expressed love and caring through food. One governing principle in Chinese ethics is “mutual dependence,” which means that the entire family’s image is affected by the choices of a single member of the family. Because the family name and reputation play such a heavy role in Chinese society, additional pressure and expectations weigh heavily on children. A child who excels in academics, arts and sports and eventually attains a notable job with high earnings improves the image of the family. In the city center of Beijing and Shanghai, there are plenty of English educational center, shopping mall for children’s toy, early child development center. Chinese parent greatly values his solitary child because of the “major investment” and “national resource” the child represents. Consequently, significant amounts of money and high expectations are focused upon the child in hopes that the child will excel in academics and other areas. That’s why there are so many tiger mom wanted to make sure that their children to be on top of everything. 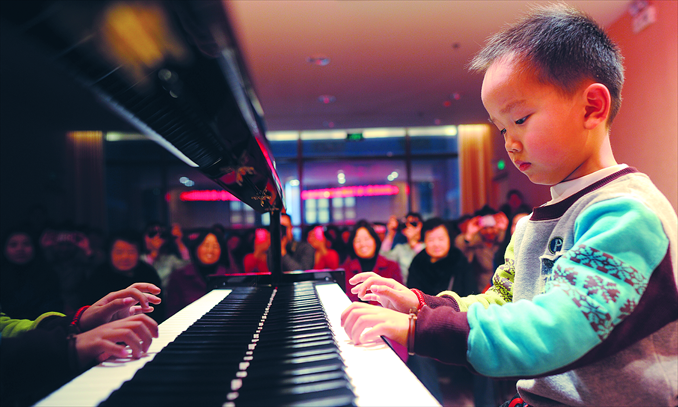 Chua also describes a scene in which she tells her then-7-year-old daughter Lulu to stop being “lazy, cowardly, self-indulgent and pathetic” when Lulu failed to master a tricky piano piece. This scene epitomizes Chua’s description of Chinese parenting: heavy importance on rote repetition, settling for nothing less than perfection, and no qualms over pulling out every “weapon and tactic” to get it. When her Western husband Jed pulled her aside and asked her stop insulting Lulu, Chua wrote that she wasn’t — she was “just motivating her.” In the end, though, the child got it down pat and performed it successfully at a recital. Traditionally speaking, Chinese parents use psychological control as a child-rearing tactic, often in instances of teaching or discipline. Many Chinese parents use shame as a model for instilling principles of right and wrong in their children. In comparison to American and Western styles of parenting, in which praise and positive reinforcement are emphasized to protect and promote self-esteem, Chinese parents tend to focus on the negative behavior and decisions of the child. Chinese parents may scold or even physically punish the child for the bad behavior. Interestingly, many Chinese parents are beginning to recognize that parental responsiveness and positive reinforcement are critical components in raising an emotionally healthy and well-balanced child. This is causing a shift in the parenting paradigm from an “authoritarian” to an “authoritative” technique, which incorporates support and compassion along with discipline, says ChineseParenting.com. An article in “The Wall Street Journal” noted that while “nurturing a child’s confidence and independence is not a traditional cornerstone of Chinese child rearing,” the concepts of independence and allowing room for failure and improvement are growing in popularity among Chinese parents and caregivers.